Extra! Extra! Read all about it! 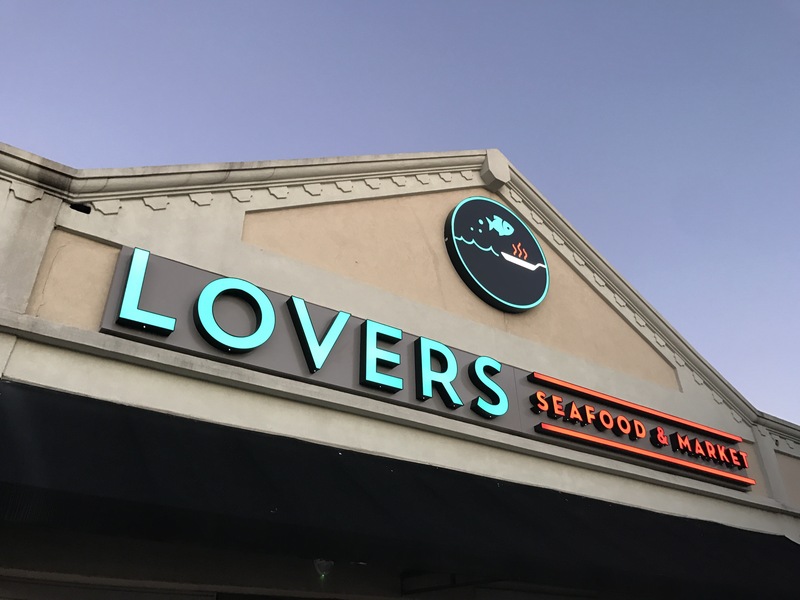 Lover’s Seafood & Market is officially open for business in the former Rex’s Seafood spot on Lovers Lane and it is a must try! The second concept from Shinsei partners, Lynae Fearing and Tracy Rathbun, Lover’s Seafood & Market aims to bring back those good local, neighborhood vibes with an emphasis on “exceptional quality, fair pricing, and excellent service.” As with Shinsei, no detail was left undone at the partners latest concept. 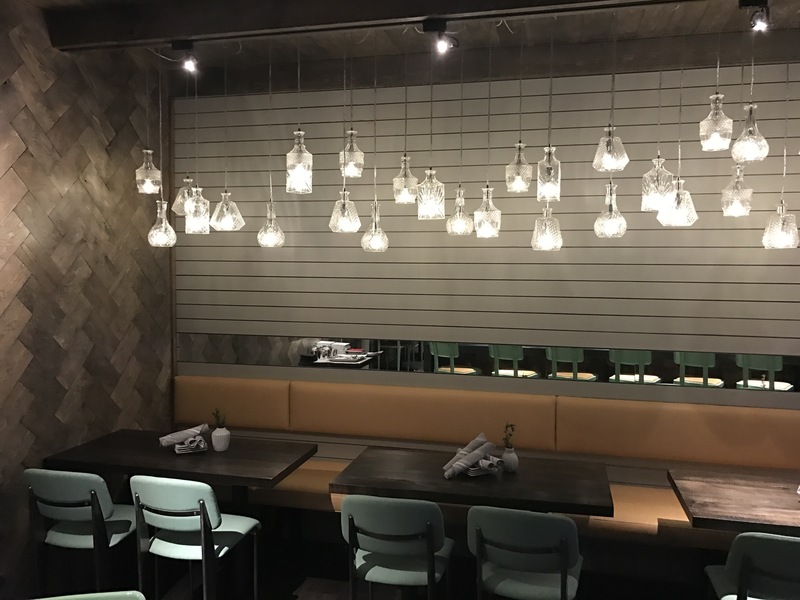 The interior is absolutely stunning and we love the repurposed glass bottle light fixtures! Yes, everything we tried was awesome. 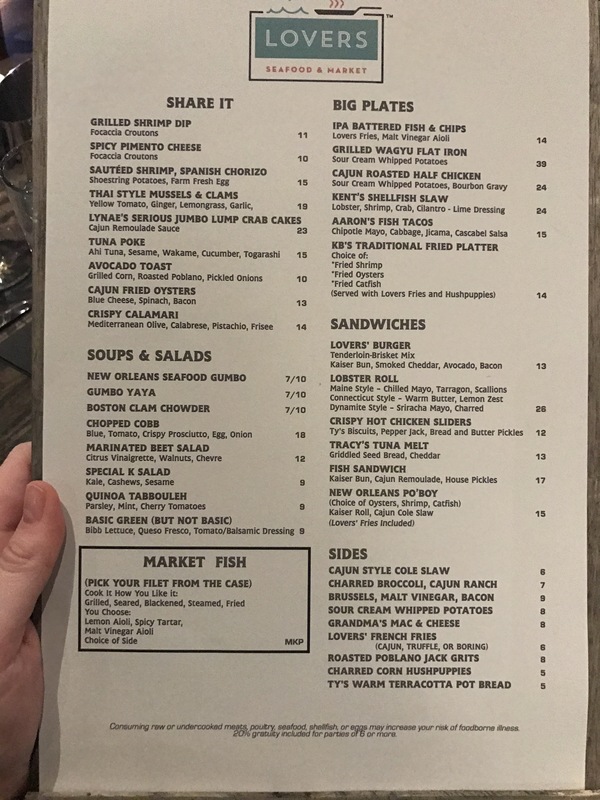 Not only does Lover’s Seafood & Market serve up delicious and unique dishes for their patrons to enjoy, the location also hosts a raw bar as well as a fresh fish market that is open to all. At Lover’s Seafood & Market, the inventory may change daily as it is based on what is fresh at that exact moment. That’s right – no fish is guaranteed to be there at a given time. If it isn’t fresh, it isn’t going in the market! Therefore, whatever high-quality catches are made, that is what will be in their cases. Their staff is happy to provide recommendations and talk you through catches that you aren’t familiar with and who knows, you may find something you absolutely love! Many locals were upset to hear about Rex’s Seafood closing its doors, and while Lover’s Seafood & Market offers a different dining approach than Rex’s did, one thing is for sure – Lover’s Seafood & Market will ease the pain in a delicious and special way. Be sure to check it out for yourselves, we promise you’ll be glad you did!